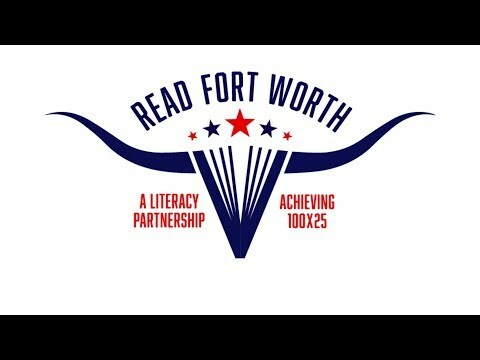 Help us raise $100,000 and possibly more to upgrade four Fort Worth ISD libraries (Sunrise-McMillan, Moss, Western Hills Primary and Elementary) as part of the District's 100X25 initiative – 100% of third-graders reading on grade level by 2025. Every dollar donated will go to buying books, e-books and iPads to help kids improve in the areas of reading, math and science. Let's get these four FWISD school libraries current with state standards in STEM library resources. The four 100x25 project elementary school libraries serve 2,247 students, of which 91.5% are economically disadvantaged. The 100x25 proposal fits “hand in glove” with the key strategic goals and priorities of the FWISD under the leadership of the superintendent Kent P. Scribner. Third-grade literacy can determine success in all subjects for years to come, including math and science. Until third grade, children are learning to read. After that, they are reading to learn. Studies show that 75% of children who struggle with reading in third grade never catch up. 100X25 is a coordinated strategy that will, for the first time, align the goals and the resources of the FWISD with all facets of the community and put resources where they are needed most. Read Fort Worth partners with the District on this strategy as well as Fort Worth Mayor Betsy Price, BNSF Executive Chairman Matt Rose, and leaders and volunteers from the city’s business sector, higher education, non-profit organizations, and the faith-based community. 100x25 will incorporate Project Lead the Way (PLTW) schools where students are empowered to develop and apply in-demand, transportable skills by exploring real-world challenges. Through pathways in computer science, engineering, and biomedical science, students not only learn technical skills, but also learn to solve problems, think critically and creatively, communicate, and collaborate. 100x25 PLTW schools are provided the curriculum and supplies to support the program requiring the use of iPads for programs such as Scratch Jr., Inkling, Lightbox and Fusion 360. Clearly, budding scientists and engineers can’t comprehend complex texts if they can’t read. At the same time, science and math have the potential to engage youngsters, encouraging them to read more. This improves their chances of reading proficiently by the key third grade milestone.